Holding the sphere captive in the base of the tower, intricate blockades must be rotated or screwed to set it free. 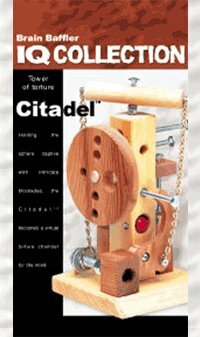 The Citadel is a virtual torture chamber for the mind! 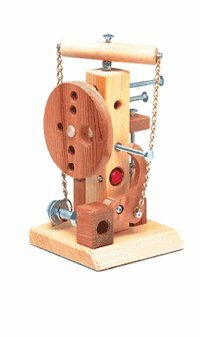 Includes 1 wooden puzzle and instructions.